Marrying Art and Digital with Interactivos! 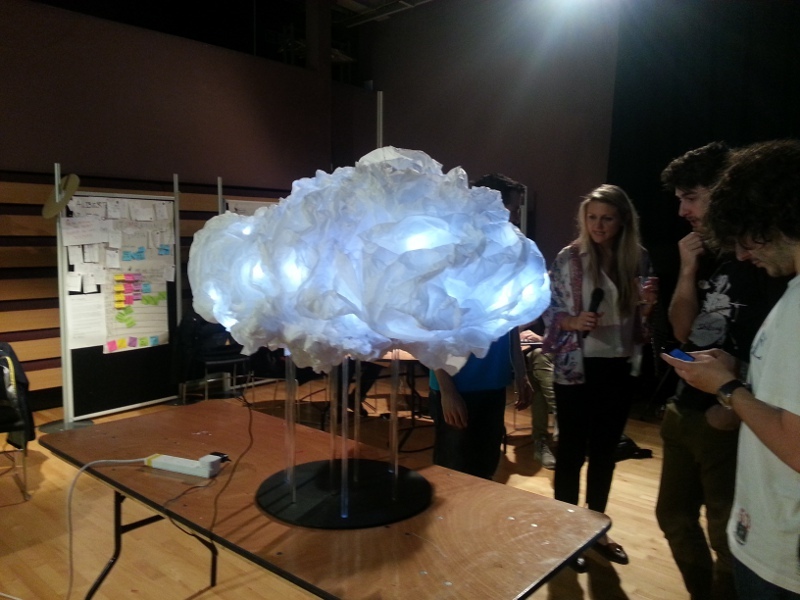 Back in June I had the pleasure of helping out at Interactivos Birmingham. This was a fortnight-long workshop for people to develop projects that used?new technologies such as Raspberry Pi and Arduino to make art. In particular, these were pieces of art that responded to the world and people around them. The workshop was hosted and supported by Midland Arts Centre and run in partnership by Birmingham City University, Sampad, the BBC and Medialab Prado. Nearly all of the projects that took part were using free and open software, and were also making the code that they wrote openly available for other people to see, contribute to and reuse. There is a set of repositories on Github for anybody who is interested in getting into the technical details of the projects. What I really enjoyed about the workshop was the energy and enthusiasm that all of the participants brought with them. At the start of the fortnight I sat down with some of the project leads who, quite frankly, scared me with the scale of the projects they were hoping to deliver. While not everybody achieved all?they set out to do, each project achieved?lots in the relatively short time scales they had.